The plan sounded perfect: my wife and I would spend the weekend at the Kumbuk River eco-resort, a luxury lodge located on the edge of Sri Lanka’s famous Yala wildlife sanctuary. 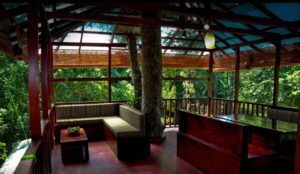 The resort has only three rooms set in 16 acres of mostly wild jungle. Between indulging in decadent, individually-prepared meals, we could search for elephants across the river, go for a tractor ride or get up early to spot some birds. Or just sleep in. It was to be a much needed break after two weeks of ambitious touring and mountain trekking in this fascinating tropical paradise. When I called up Kumbuk River, I was told we were in luck: there was one room available. “Please book it via the website,” the receptionist said. But the website was a little wonky: first you fill in an inquiry form, and only then do you receive a credit card link by email some hours later. By the time the message arrived, the room was gone – someone else had snagged it. I was furious. But even more than that, I was suffering from some serious FOMO. It’s become so prevalent in popular culture that the term was added to the Oxford English Dictionary in 2013. While technology analysts like Sherry Turkle (whose book Alone Together has become a kind of bible on the effects of social media on the teenage brain) and Flickr co-founder Caterina Fake, whose 2011 essay catapulted the term into the hi-tech vernacular, focus on the connection between FOMO and our inability to turn away from our phones, my biggest FOMO challenges come when I’m on vacation. There’s always too little time and too much to see when you’re on the road. As a result, any choice you make means you’re necessarily missing out on something else. Was it more important to visit that double waterfall rather than the ancient Buddhist temple we skipped? Should we have lounged on the beach with the sea turtles longer and spent less time hiking? Why did we choose the tourist trap restaurant over the hole-in-the-wall place with the kottu roti that looked so good from the street? I’ve even come up with my own sub-definitions of FOMO. “Pre-FOMO” is what most people suffer from. I’m more of a post-FOMO guy, which I’ve dubbed ROMO or “Ruminations on Missing Out.” It’s similar to “regret” but tied to the overall FOMO phenomenon. But there’s an antidote to FOMO and it’s also an acronym: JOMO, coined by another technologist, blogging pioneer Anil Dash. JOMO is related to mindfulness, for sure, but it’s also about embracing the familiar reality that one closed door often opens a surprising new one. In that time, we added a thrilling five-hour hike, signed up for a cooking class (to learn how to make all those exquisite vegetarian curries we’d been eating) and had a pair of Ayurvedic massages. There were no elephants or eco-tractor rides, but it was glorious nevertheless. 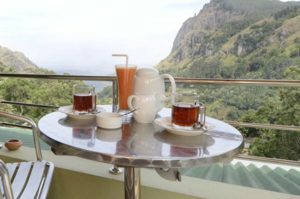 On our way to Ella, we planned to take what our guide book described as “the most beautiful train ride in the world.” A three-hour saunter through lush tea plantations with endless vistas of green. But when we got to the train, it was standing room only. And when we stooped down to look out the windows, all we could see were dark clouds and rain. I was so disappointed, I grumbled on tired feet for the first two hours. But then something shifted. My wife Jody and I started talking to our fellow passengers. I got into a deep discussion about the Israeli education system with a German woman studying to be a teacher. We bought a few spicy “dahl balls” (like falafel but made out of lentils instead of chickpeas) from a passing vendor who jumped on the train during a delay. By the time the ride ended, we were sorry that it had been so short. The hardest part about switching from FOMO to JOMO is doing it up front, right as the FOMO is about to kick in, and not just as a cognitive re-set after agonizing through several days of debilitating ROMO. That goes whether you’re in New York, Sri Lanka, Jerusalem or Tel Aviv. I first wrote about FOMO, JOMO and ROMO for The Jerusalem Post. Previous post: Is “Foreign Language Learning Disability” real?